Jamaica Blue's food manager said QSRs drive the industry to make a difference with important touch points such as sustainability, healthy eating, and the environment. “Not only is the quality of food and product improving but it is hedging towards addressing those bigger ethical issues around environment and health in the community. It is exciting to see upmarket food coming from pop ups and food trucks, and top chefs choosing to become more accessible with burger outlets and other specialty products." "As consumers look to maximise their time and find enjoyment in their social activities, food retailers need to cater for the busy customers. Food needs to be quick – but the busy customer is also expecting quality too, and often wants to choose a product that is good for them, or will make them feel good. They want to see value in their purchase and are often shopping on a budget. The challenge is to provide a nutritious offer, that is appealing and exciting and possible to be made and served quickly. "Also, the challenge is to assure that food offer benefits the business owner. Does this product generate sufficient profit? Is it readily available? Do my staff have the abilities and skills they need to make it? It is not an easy thing to obtain on-going high customer satisfaction, however it is the most important thing, and at the heart of operating a successful business in hospitality," she said. 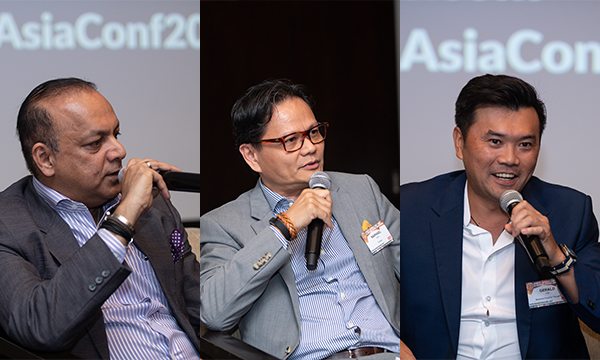 Heslop is one of the panel members in the Menu Panel in the upcoming QSR Media Asia Detpak Conference and Awards 2018 to be held at the Grand Copthorne Waterfront Hotel in Singapore on the 24th of January 2018. Her discussion will circle around menu innovation for different groups – the classic products that drive sales, the products that make your brand start apart from the competition, and the products to appease the media and give the brand strength from a PR perspective. As for the international brands, the challenge to adapt product development for each country’s demographics and culture will also be tackled. Heslop has started her career working in the kitchen at the 2000 Sydney Olympic Games preparing food for the athletes. Reinforcing her love of food and cooking, she went on to study at the InterContinental Cooking School. 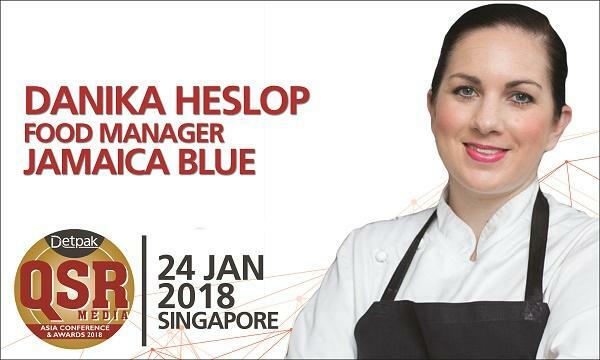 She worked with pastry chef Mark Stone at Wildfire in Sydney’s Overseas Passenger Terminal, then joined Justin North at Becasse, voted in the World’s Top 100 Restaurant list. Choosing to take her culinary experience in a different direction, Heslop started working as executive chef for Jamaica Blue in 2012 and is in charge of food styling, developing menus and creating food across Australia. Danika has been awarded for her creativity at Jamaica Blue by recently being named the 2014 Field Manager of the Year at the annual Excellence in Franchising Awards presented by the Franchise Council of Australia (FCA).